Harris Beach lies at the very southern end of the Oregon coast… just about 10 miles from the California border. It’s a popular beach due to it’s proximity near Brookings and one of the more easily accessible beaches in Southern Oregon. It can be very busy during the summer months, but the off season (late fall to early spring) can be some of the best times to visit. The main beach is located at the end of the park’s road and offers the easiest access and views (with some spectacular views of Bird Island… a.k.a. Goat Island), but there is a second beach access if you don’t mind hiking just a short quarter mile downhill trail to the South Beach. At low tides (and conditions permitting) you can walk between the two beaches along the shoreline. There is also a wonderful campground just above the two beaches… it’s one of our favorite places to go, especially in winter when the ocean scenery can be very dramatic. 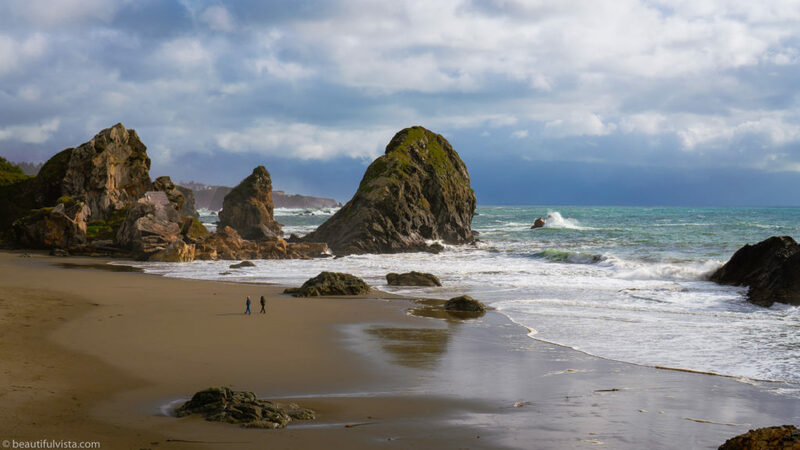 You can find more information about Harris Beach here (Oregon State Parks campground and basic info)… with the Trail map for the park is also available. It’s a place not to be missed. As a side note, I did a video not too long ago of Harris Beach in the wintertime. It a very scenic and relaxing video taken at the very end of December, and should give you an idea of what to expect. You can find the video here… hope you enjoy it! 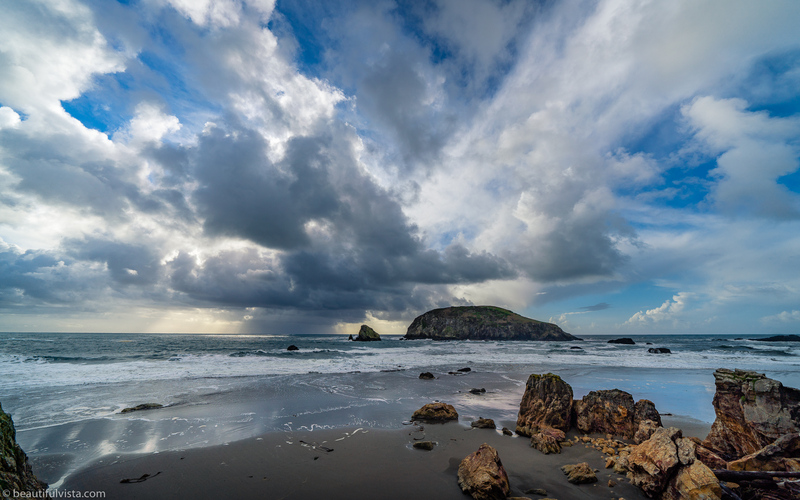 Harris Beach and Bird Island as storm is clearing. Main beach at Harris Beach State Park… what better place to spend an afternoon?